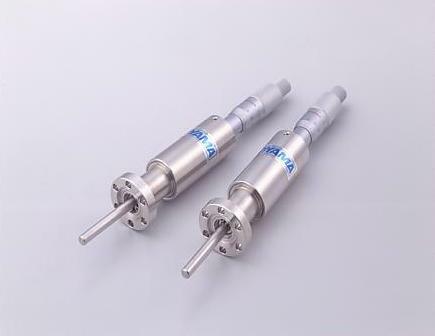 High-precision positioning is available by micrometer head. Available in 20mm (LM034-M) and 50mm (LM070-M) linear travel movements. One full rotation for 0.5mm linear movement.